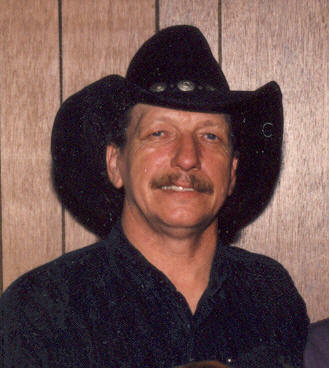 [February 28, 2007] HARTSBURG -- Verl R. Prather Jr., 62, of Hartsburg died Tuesday, Feb. 27, 2007, at 2:36 p.m. in the 1300 block of 2100th Street, Lincoln. 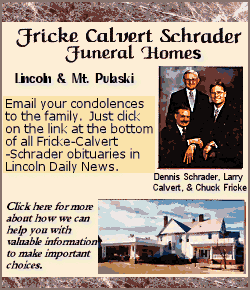 Visitation will be from 4 to 7 p.m. Thursday at Fricke-Calvert-Schrader Funeral Home in Lincoln. Masonic rites will follow at 7. His funeral will be at 10:30 a.m. Friday at Prairieland Christian Church, with Kyle Alt officiating. Burial, with military rites, will be in Hartsburg Union Cemetery. Mr. Prather was an electrician at Caterpillar for 22 years and then at ADM in Peoria for 12 years. He retired in 2006. He was born Aug. 2, 1944, in Effingham to Verl R. and Lorena Walker Prather Sr. He married Kathy J. Humbert on Oct. 30, 1982, in Lincoln. She preceded him in death on Jan. 6, 2006. He is survived by his mother, of Atlanta; two sons, Verl A. (and Penny) Prather III of Lincoln and J.R. Eskew of Lincoln; two daughters, Lori (and Joe) O'Connell of Springfield and Tammy (and John) Scully of Springfield; one brother, Roger (and Joyce) Prather of Lincoln; one sister, Peggy (and Tom) Payne of Atlanta; and nine grandchildren. He was also preceded in death by his father; one brother, Roy Lee Prather; and one sister, Stella Marie Prather. He was a member of Prarieland Christian Church, Atlanta Masonic Lodge and Hartsburg American Legion 1146, where he was the current commander. He played guitar and sang in many bands in the area. He also gave music lessons at Music Spectrum. Click here to send a note of condolence to the Prather family.